Congrats! You have found your virtual bridesmaid! 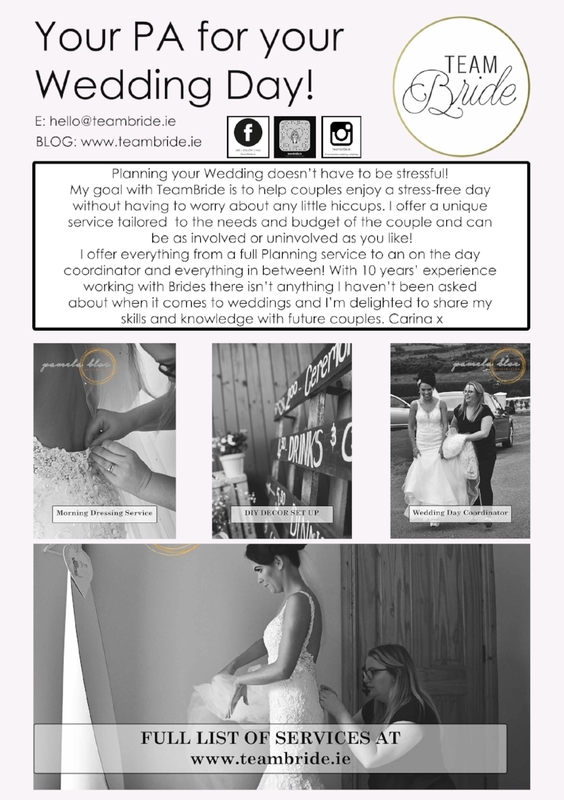 Team Bride will be the only tool you need to help plan the big day. With 10 years experience in the Bridal Industry we have the know how and contacts to help you make your dream wedding a reality. We offer everything from a Wedding Consultancy Service, Morning Dressing Service, Bridal Brunch to a full Planning Service. We can tailor our services to suit your needs and budget. Browse our Inspiration Blog to keep up to date with the Wedding To Do's and trends and subscribe to receive news and updates.